1. 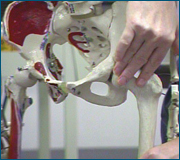 Describe the theoretical basis for the use of joint mobilization. 2. List the contraindications of joint mobilization. 3. List the factors in assessment of joint play and joint range. 4. Identify the relevant anatomy of each major joint. 5. Observe and describe basic mobilization techniques through demonstration. 6. Observe and describe treatment application through demonstration. AOTA Domain of OT Category 1, Texas CE Type 2, NBCOT PDUs, CABOT Advanced Practice in Hand Therapy APP-H39, approved by the New York State PT Board, California PT Board, Illinois PT Board. 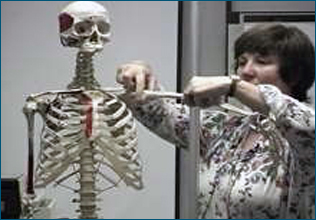 For other State PT Board approvals click on CEU Course Approvals on the CEU Course Listing Page. Physical, occupational and speech therapists, certified athletic trainers, and other rehabilitation specialists. For special needs requests please contact us by phone or email. contactus@clinicians-view.com Phone 575-526-0012. Fax 575-526-0014.